Most students leave college with a huge amount of debt around their shoulders. In many instances, they won’t have to start paying it back until they find a job. However, it can take years to clear the balance and achieve financial freedom. With that in mind, people in that position need to research the subject and read as much advice as possible. Contrary to popular belief, there are lots of ways that anyone can reach their goal if they think outside of the box. Achieving financial freedom is a fantastic thing because it allows individuals to create a better life and take advantage of more opportunities. So, consider some of the tips and tricks below. There are lots of specialists out there that focus their efforts on consolidating private student loans these days. So, it’s just a case of checking the market and identifying the best companies for the job. Taking that path is an excellent move because it helps to simplify the situation. 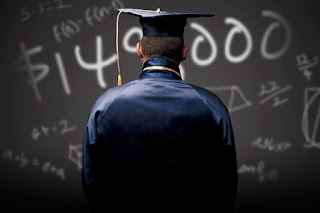 The experts will work out a deal that means the graduate only has to pay one affordable monthly bill. That contributes towards removing any chance of the individual missing payments and getting late charges. Considering that, everyone who leaves college should think about taking that step as soon as possible. Maintain their debt for longer than they should. Pay higher rates of interest on the money they owe. At some point, all graduates will find a job and start earning a salary. How they spend their income could have an impact on their debt situations. For instance, there are lots of ways in which anyone can invest capital for profit these days if they’re intelligent. Trading on the stock market is a little hit and miss without the right expertise. However, anyone can put their money in precious metals or property for the best results. Hopefully, the individual will make a decent profit, and they can then use that cash to clear the balance of all their student debts. Other ideas people might want to consider include starting a business and living with parents instead of renting property. The latter concept is a wise move because it will mean the individual has more spare cash at the end of each month. Whatever readers decide to do, just be sure to create a plan and set some goals. The last thing anyone wants is to still have a student debt around their shoulders in their forties.